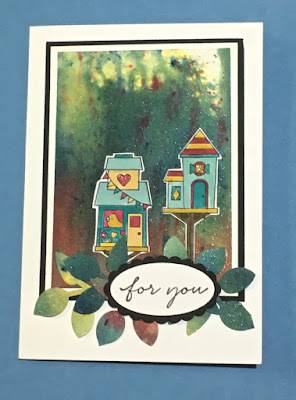 I love experimenting with Brusho and today I have a card made from the "Flying Home" stamp set by Stampin' Up! that is adhered onto a Brusho background. I stamped the images of the birdhouses onto Whisper White card, using Archival Black ink then set that aside while I created a background on Shimmery White card stock. 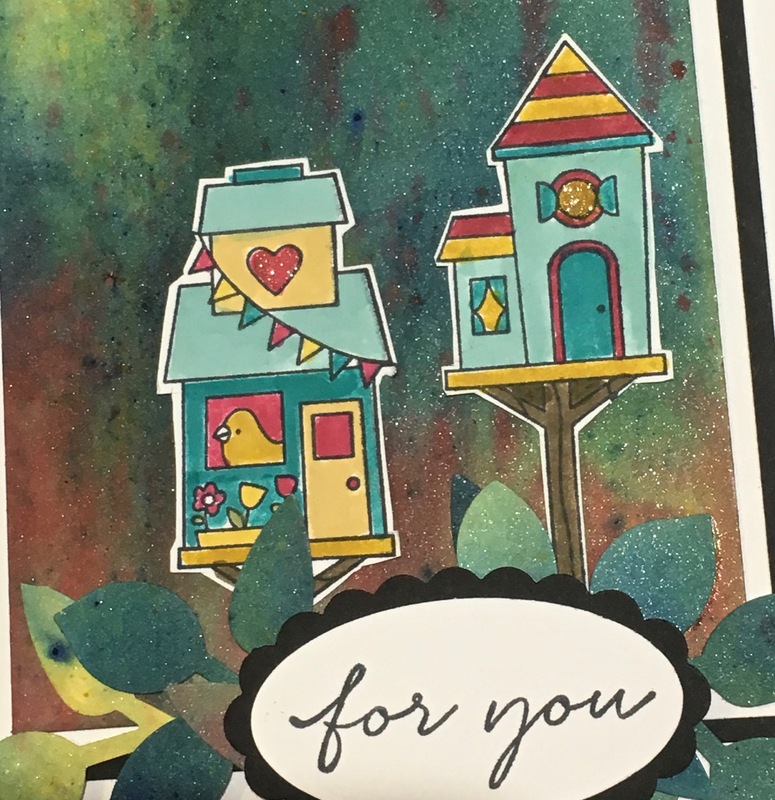 I envisaged a flat "Naive" style for the bird houses, so chose to colour them with Stampin' Write Markers resulting in flat areas of colour. I chose the colours to compliment the colours I'd used in the background. The images were fussy cut and arranged on the background prior to adhering them flat. I then used the leaf punch to create some interest behind the greeting. This is a simple card that gives multiple results as there is a certain amount of serendipity in the creation of the background. I used Wink of Stella to highlight small areas on the bird houses. I hope I can encourage you to reference various art styles in your stamped creations - Art History is a wonderful source of inspiration. If you would like to purchase any of the products you can do so by clicking on the images below.